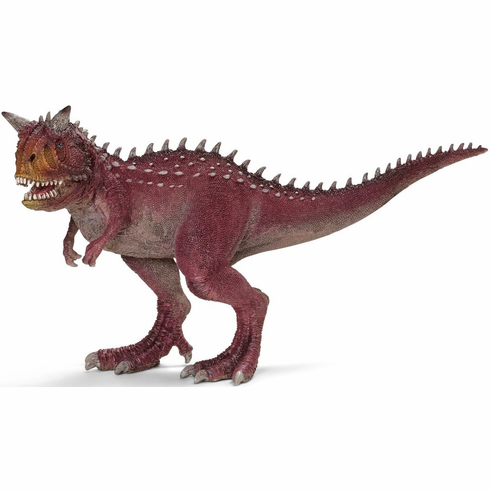 A Carnotaurus is a typical example of a carnivorous predatory dinosaur. He ran on strong hind limbs and had a jaw full of sharp, long teeth. Measures approximately 8.25 inches nose to tail. Stands approximately 4.25 inches tall when balanced on the rear legs.